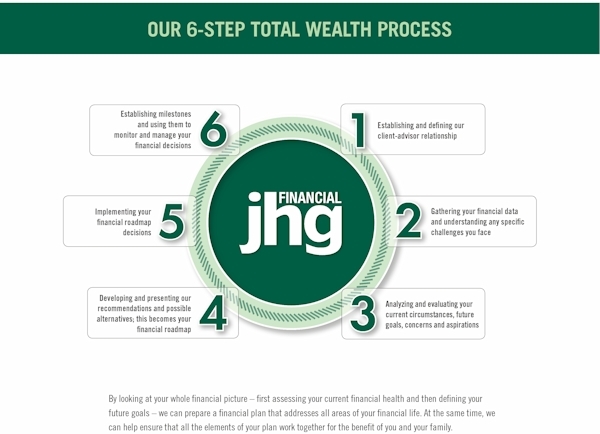 Wealth Management | JHG Financial Advisors, LLC. By looking at your whole financial picture-first assessing your current financial health and then defining your future goals – we can prepare a financial plan that addresses all areas of your financial life. At the same time, we can help ensure that all of the elements of your plan work together for the benefit of you and your family.